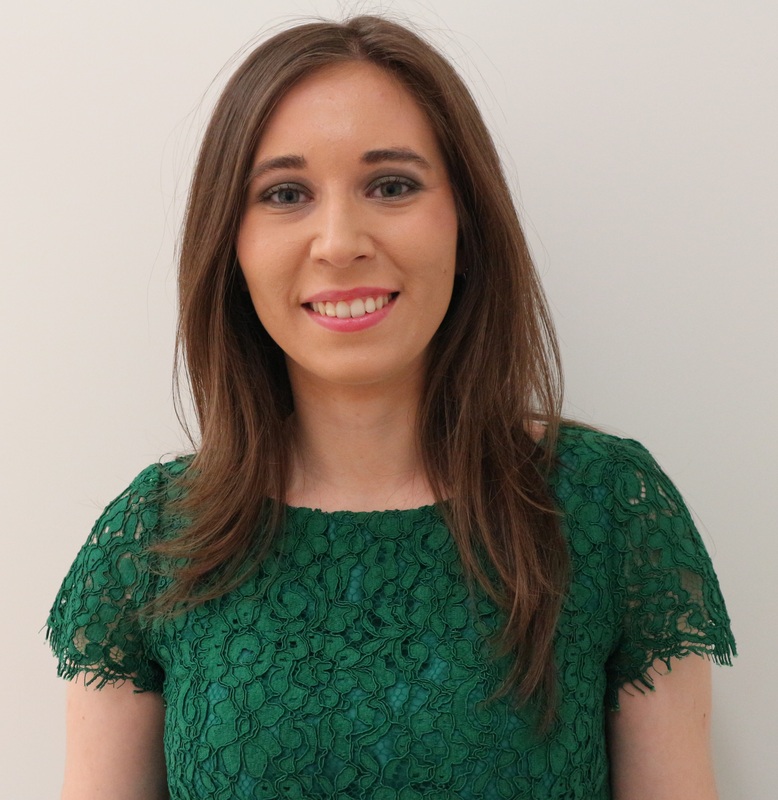 Cristina Lastres-López holds a BA in English Language and Literature from the University of Santiago de Compostela (July 2015) and an MA in English Linguistics from University College London (September 2016; grade obtained: Distinction). In December 2015 she received the Extraordinary BA Award from the Faculty of Philology of the University of Santiago de Compostela, and in November 2016 the National Award for Academic Excellence from the Regional Government of Galicia, in recognition of her outstanding academic record as an undergraduate student. In October 2016 Cristina was admitted to the Interuniversity PhD Programme in Advanced English Studies, run by the Universities of Santiago de Compostela, A Coruña and Vigo. She is now preparing a PhD on the topic “A functional-pragmatic approach to if/si-constructions in English, French and Spanish: A corpus-based study”, under funding from a four-year competitive grant from the Spanish Ministry of Education, Culture and Sports (MECD grant FPU2015/02519; 24/10/2016 - 23/10/2020). Her supervisor is Teresa Fanego. Cristina has experience in research and development, as holder of a collaboration scholarship (November 2014 - June 2015) at the Department of English and German, and as PI of the project “Improving the English spelling of university students” (01/11/2015 - 30/06/2016; funding institution: University College London, Centre for Advancing Learning and Teaching). She has also been involved in the organization of various research meetings, such as the Summer School in English Corpus Linguistics 2016 organised by the Survey of English Usage (University College London) in July 2016, and IWoDA 2016: Fourth International Workshop on Discourse Analysis (University of Santiago de Compostela, 29-30 September 2016). In the Spring of 2018 Cristina was away at the Department of English of University College London, on a three-month research stay funded by MECD grant EST17/00189; her advisor at UCL was Professor Bas Aarts. From March to May 2019 she is a visiting scholar at KU Leuven, under funding from MECD grant EST18/00126; her advisor is Professor Kristin Davidse. This session Cristina teaches courses on Inglés para criminólogos and Inglés: comprensión e expresión oral. MA Dissertation (September 2016): The syntax-pragmatics interface of insubordination in English: A corpus-based study. Supervisor: Bas Aarts (University College London). (Forthcoming). "On the variation between if and whether in English and their Spanish equivalents". In Lingüística prospectiva: tendencias actuales en estudios de la lengua entre jóvenes investigadores. Sevilla: Universidad de Sevilla y Asociación de Jóvenes Lingüistas (AJL). (2019). "Conditionals in spoken courtroom and parliamentary discourse in English, French and Spanish: A contrastive analysis". In Corpus-based research on variation in English legal discourse, ed. by Teresa Fanego & Paula Rodríguez-Puente. Amsterdam & Philadelphia: John Benjamins, pp. 51-78. (2018). "Examining English spelling at British universities". In Novas perspectivas na lingüística aplicada, ed. by Marta Díaz Ferro, Jorge Diz Ferreira, Ania Pérez Pérez & Ana Varela Suárez. Lugo: Axac, pp. 429-436. (2018). "Exploring if / whether variation in subordinate interrogatives". Nordic Journal of English Studies 17(2): 156-181. (2018). "If-insubordination in spoken British English: Syntactic and pragmatic properties". Language Sciences 66: 42-59. (2017). Review of Kate Beeching (2016): Pragmatic markers in British English: Meaning in social interaction. Cambridge: Cambridge University Press. Estudios interlingüísticos 5: 146-151. (2016). "On the origin and linguistic features of an English-based creole language: The case of Jamaican Creole". Revista académica liLETRAd 2: 519-526. 21-24 August 2019: 52nd Annual Meeting of the Societas Linguistica Europaea, University of Leipzig (Germany): "Exploring the functions of conditional constructions at the right and left periphery: Evidence from English and French". 1-5 June 2019: ICAME 40, University of Neuchâtel (Switzwerland): “The pragmaticalization path of conditional clauses in English and Spanish: A corpus-based study” [full paper]. 15-17 May 2019: CILC2019, University of Valencia: "Interpersonal conditionals in spoken English: Expressing stance and engagement through conditional clauses". 7-9 November 2018: 42nd AEDEAN Conference, University of Córdoba: "The discourse-pragmatic functions of conditionals in legal English, French and Spanish: A corpus-based study". 17-19 October 2018: XXXIII Congreso de la Asociación de Jóvenes Lingüistas, University of Castilla-La Mancha: "Quantifying conditionality: On the notion of conditionality and the discourse functions of if-clauses". 17-20 July 2018: ISLE 5 (Fifth International Conference of the International Society for the Linguistics of English), University College London (UK): "On the use of modal verbs in conditional clauses in English". 9-11 November 2017: 32º Congreso Internacional de la Asociación de Jóvenes Lingüistas, University of Seville: "On if/whether variation in English and their Spanish equivalents". 10-13 September 2017: 50th Annual Meeting of the Societas Linguistica Europaea, University of Zurich (Switzerland): “Conditional clauses in functional-cognitive space”. 24-28 July 2017: 9th International Corpus Linguistics Conference, University of Birmingham: "The pragmatics of insubordinate if-clauses in British English: A corpus-based study". 6-9 June 2017: 9th International Conference on Language Variation in Europe (ICLaVE 9), University of Málaga: "On the variation between if and whether in British English". 30 May 2017: IDAES Graduate Day 2017, University of A Coruña: "Towards a functional-cognitive typology of if-clauses in English and their Spanish and French equivalents". 25-28 May 2017: 8th International Contrastive Linguistics Conference (ICLC 8), National and Kapodistrian University of Athens (Greece): "Exploring conditional clauses in English, Spanish and French: Contrastive discourse-functional considerations". 4 March 2017: 14th Corpus Linguistics in the South Conference. Corpus Linguistics and Multilingualism, Birkbeck, University of London (United Kingdom): "Comparing if-clauses in English with their Spanish and French equivalents: A corpus-based study across genres". 24-25 October 2016: 3rd International Conference on Contrastive Linguistics. Various Dimensions of Contrastive Studies (VDOCS 2016), University of Silesia, Katowice (Poland): "Conditionals across languages: A corpus-based study of if-clauses in English and their Spanish and French equivalents". 19-21 October 2016: XXXI Congreso Internacional de la Asociación de Jóvenes Lingüistas, University of Vigo: "English spelling at British universities: A comparison between the writing of native and non-native students". 15-16 September 2016: IV Congreso Internacional de Lingüística, Literatura y Cultura. Cambios y transiciones: Enfoques múltiples dentro de la lingüística, el bilingüismo, la literatura y cultura, Catholic University of Murcia: "A preliminary corpus-based approach to if/whether variation in closed subordinate interrogatives". 6-8 July 2016: Congreso Internacional de Literatura, Lengua y Traducción liLETRAd 2016, University of Seville: "The emergence of an English-based creole language: Some notes on the origin and linguistic features of Jamaican Creole". 14-16 April 2016: 34º Congreso Internacional de la Asociación Española de Lingüística Aplicada (AESLA), University of Alicante: "Exploring if/si-clauses in spoken academic discourse: A contrastive English-Spanish-French study". 7-8 July 2015: Congreso Internacional de Literatura, Lengua y Traducción liLETRAd 2015, University of Seville: "Towards a typology of if-clauses in English and their Spanish and French equivalents: Evidence from the spoken academic genre".